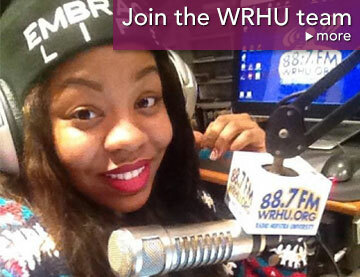 The WRHU mission is to make our staff industry ready at the highest possible level. When summer break begins many campus media outlets slow down. Not WRHU. Our student staff gear up for an incredible array of opportunities to develop their professional media / broadcasting skills. 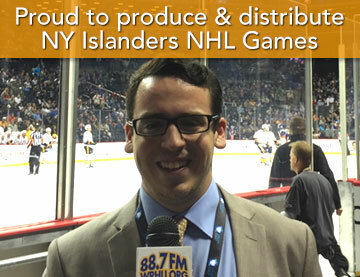 NY Islanders Live NHL Game Broadcasts - Students produce and distribute live game broadcasts which in 2016-17 air on WFAN AM/FM NYC, Salem 970AM / 570AM, or WCBS 880 AM NYC and Sirius Satellite Radio, WRCN FM Long Island, WRHU FM, and the NHL Game Center app / NHL.com. Students handle all technical aspects as well as on air roles such as player interviews for intermission features, post game locker room reporting, and in game sports updates. 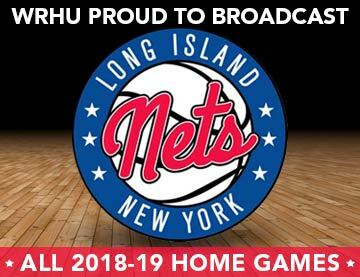 Long Island Nets NBA D-League Live Game Broadcasts - Students produce all home games live from Barclays Center. Students perform all tech aspects in addition to hosting pre-game, intermissions, and post game. They also interview players, perform color commentary and report from the sidelines. 2017 United States Presidential Inauguration - Live from Talk Media News Radio Row, in Washington D.C. WRHU student journalists will broadcast alongside numerous major market commercial news broadcasters interviewing many national and local political figures and celebrities. 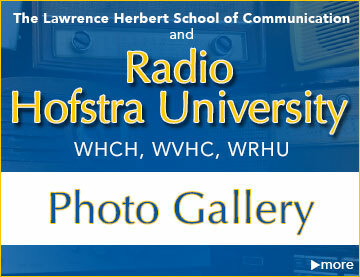 TALKERS Conference - Over250+ Radio / Media pro's inspire (and network with) Hofstra students. 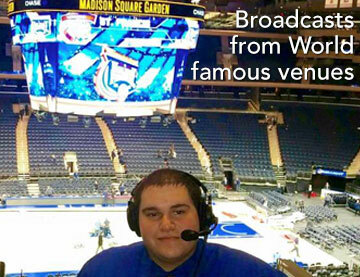 Live broadcasts from WRHU studios - Mike Francesa (WFAN), Ethan Bearman (KGO SF), Doug Stephan (Good Day), and Keith Irizarry (NBC) broadcast from WRHU studios giving students opportunities to engineer and learn from these industry pros. New York Cosmos Soccer - Students produce, distribute, and perform play by play and color commentary for NASL (North Atlantic Soccer League) games played at Hofstra. 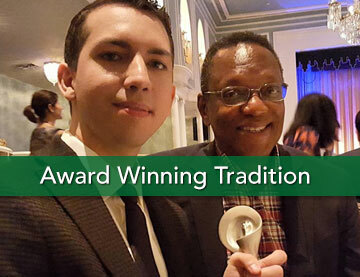 New York State Associated Press Association Awards - Students meet and network with over a hundred News Directors and top news talent from radio and TV stations all across NY State. Students are recognized in front of these news pros with awards they earned doing news on WRHU. The Belmont Stakes - Students broadcast from world famous Belmont Park and cover the Belmont Stakes alongside industry professionals from major news outlets. Press Club of Long Island Awards - Students meet and network with professional journalists, editors, and News Directors from the top media outlets on Long Island. 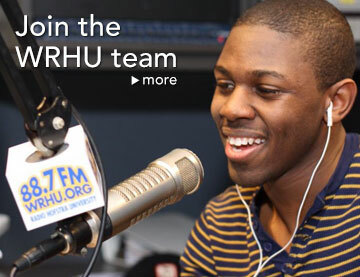 Students are recognized with awards for news packages they created and aired on WRHU FM. 21st Annual Empire Challenge All-Star Football Game - Students broadcast this yearly football game between Long Island and New York City High School football all-stars which benefits the Boomer Esiason Foundation. The event is held at Hofstra. Long Islands Ducks Baseball - Students produce and air play by play and color commentary of select LI Ducks Atlantic League Baseball games from Bethpage Ballpark in Islip NY. National Baseball Hall of Fame Induction Ceremony - When Mike Piazza and Ken Griffey Jr. are inducted into the National Baseball Hall of Fame in Cooperstown NY, WRHU students will be there broadcasting live alongside ESPN and MLB TV. Republican National Convention - WRHU student journalists will broadcast live from the RNC in Cleveland Ohio. Interviews with politicians, elected officials, surrogates, and voters will be featured. Plus, student journalists will cover breaking news and create both feature packages and hard news packages. Democratic National Convention - WRHU student journalists will broadcast live from the DNC in Philadelphia PA. Interviews with politicians, elected officials, surrogates, and voters will be featured. Plus, student journalists will cover breaking news and create both feature packages and hard news packages. Debate 2016 - WRHU will broadcast from the media filing center and "spin alley" alongside many local and national radio and TV stations during the Presidential Debate at Hofstra. Students will meet and interview many national and local political figures, top tier broadcast air talent, and others while producing hours of on-air content related to the candidates and the debate.